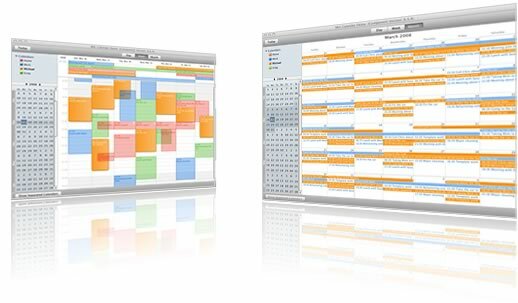 For Java application or applet developers that wants to add time based visualizations MiG Calendar Component is a best selling JavaBean that you can add to your projects with great ease. Unlike simpler date pickers and schedule components MiG Calendar is extremely configurable and comes with extensive IDE integrations. MiG Calendar is the best selling Java component at the largest online component reseller, ComponentSource. To the best of our knowledge all our customers are very satisfied with the component, something that is reflected in the comments at our forums. We have a Zero Bug Policy which means that we drop all new development to fix bugs, they always get the highest priority. Together with fast and to-the-point support this means that your development teams will have a smooth, uninterrupted and predictable development cycle. We have literally hundreds of customers, from all over the world. We have licensing options that fits everything from a small consultant company to a large multinational corporation. We offer custom made multi-site development licenses with priority support and full source code. We also have a single developer license with getting started email support. Chances are we have an option that fit your needs, or we will create one that does. MiG Calendar is extremely flexible when it comes to what you can change and configure. For instance fully layered graphics painting using Painters and exchangeable implementations in key areas using the factory pattern means you get all the power you need to create a calendar implementation according to your specs. The Getting Started documents will get you up and running in short time and the extensive API JavaDocs will make your development easy and predictable. If you have the MiG Calendar source code at hand the development is even easier. The JavaBeans have the most comprehensive and advanced property editors known for a publicly offered Swing component. You can configure almost any aspect of the components using a RAD IDE such as NetBeans, Eclipse with Swing Designer or JFormDesigner.